Discussion in 'Mexico' started by sidspaceman, Oct 15, 2008. Estaria chido ver un partido amistoso de Mexico ahi. 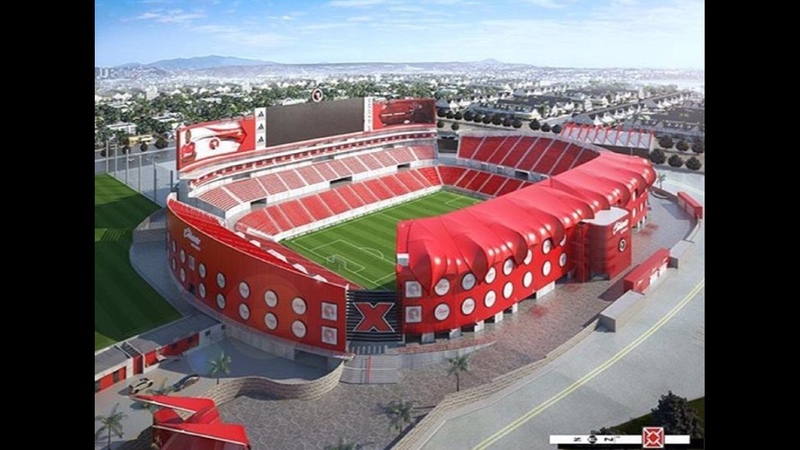 A render of how Tijuana's stadium could look like when it's done. Y las putas de la Revolucion??? Donde? How do they grow grass in Phoenix? We'll see. Hope so. They have one of the worst stadiums in Liga Mx. Californian81, Kaney and Otaku repped this. SGuerrilla, Californian81 and Otaku repped this. Leon is getting a shiny new stadium. Made sure the 'dia de los inocentes' thing wasn't going down this time. I agree. Their current stadium, Estadio Azul, is a big soulless bowl. We’re getting a new Mexican stadium boys..